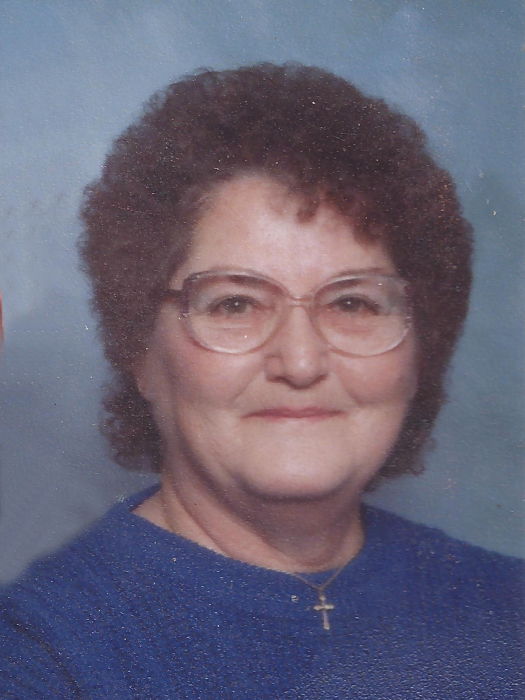 Ruth E. Rick, age 74, of Parkers Prairie, died peacefully Tuesday, August 28, 2018, at home surrounded by her family. A memorial service will be held at 2 p.m., Friday, August 31, 2018, at the Lind Family Funeral Home in Parkers Prairie with Pastor Rachel Stout officiating. Ruth Elaine was born on February 24, 1944, to Hazel and Anna (Chmelar) Bell in Bertha. She attended Bertha Public Schools until the family moved to Mt. Vernon, Iowa in the fall of 1960. Ruth graduated from Mt. Vernon High School in 1962. She was united in marriage to David Rick on February 19, 1963, in Marion, Iowa. Ruth worked a few jobs in her life, but the most important to her was being a mom. She was dedicated to taking care of her family with her top priority being her children and their home. Ruth was always active and enjoyed gardening, crocheting, sewing, cooking and baking. She loved going to wineries and would experiment with making and mixing her own wine. Ruth especially loved spending time with her family. She is preceded in death by her parents; husband; two sisters, Patty Swallom and Carol Techau; and great-grandson, Gage Koelliker. Ruth is survived by her son, David (Randi) Rick of St. Joseph, Missouri; daughter, Monica (Danny) Denny of Carlos; two sisters, Rosie Techau and Lois Swalley; brother, Tommy (Louise) Bell; six grandchildren, Angel Brooks, Andy Denny, Jacob Denny, Nicole Denny, Heather Koelliker and Colton Rick; and 10 great-grandchildren, Addison Turner, Lateka Ryckman, Layla Ryckman, Kam Fauskee, Mason Denny, Avney Denny, Tyson Denny, Autumn Precht, Summer Precht and Orion Precht.